Once I witnessed an extraordinary phenomenon. 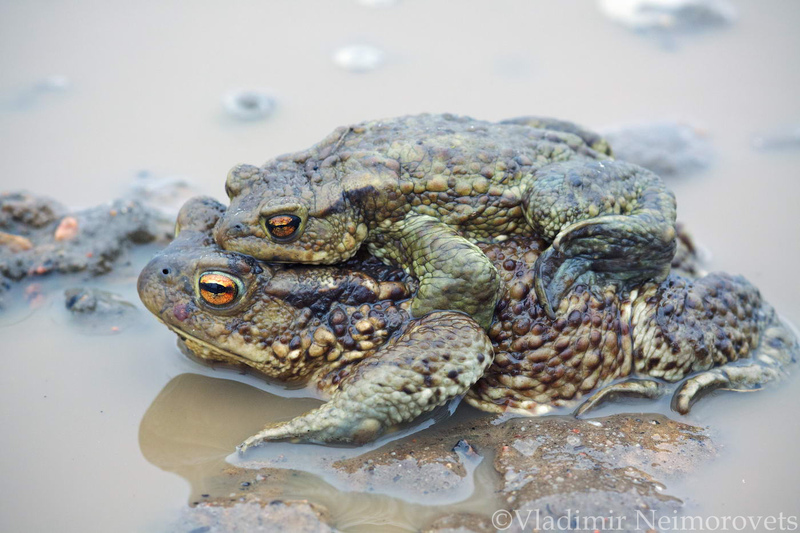 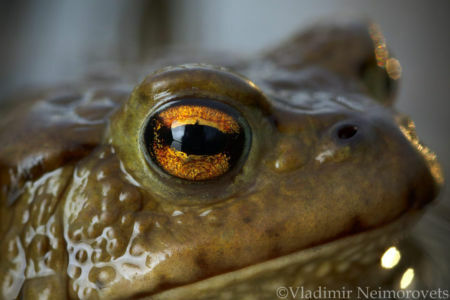 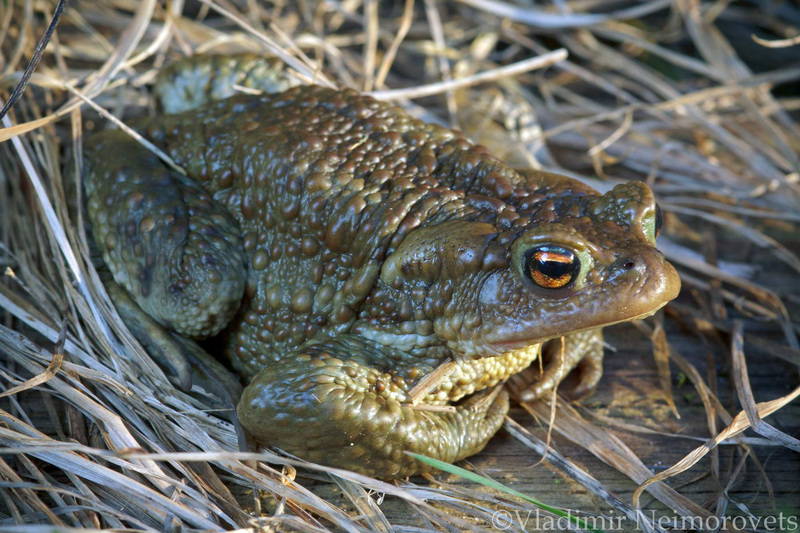 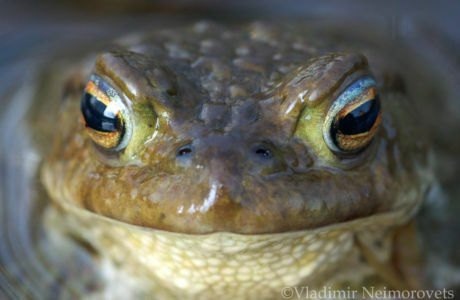 In late April, on the outskirts of the Menkovo village (Leningrad oblast, Russia), I observed a huge number of common toads (also known as European Toads, Bufo bufo). They were everywhere — on a plowed field, in ditches with water, they galloped along road, where they often fell under wheels of cars. But all their movements were oriented in one direction — they were heading for a small pond, where females would have to lay their eggs. 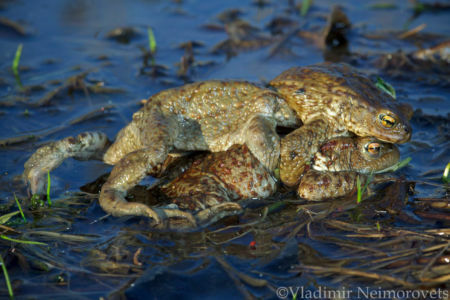 Frogs have a breeding season. 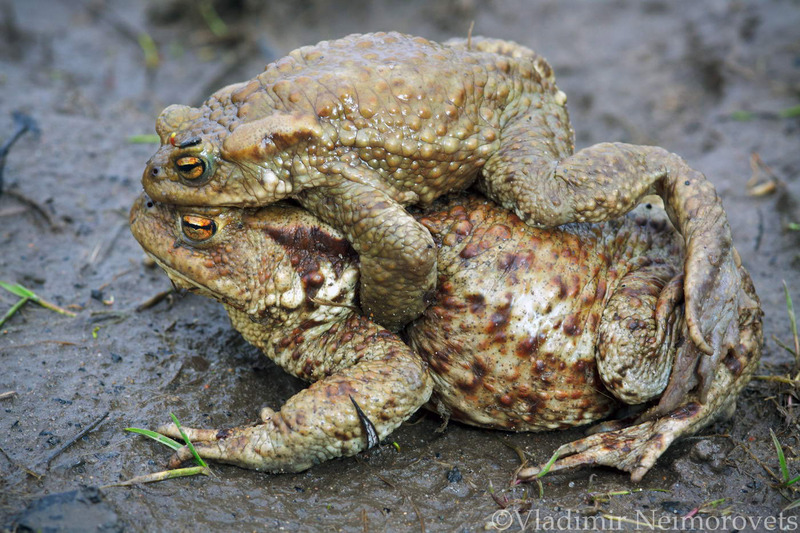 The love fever spread over males and real battles were fought for the females. 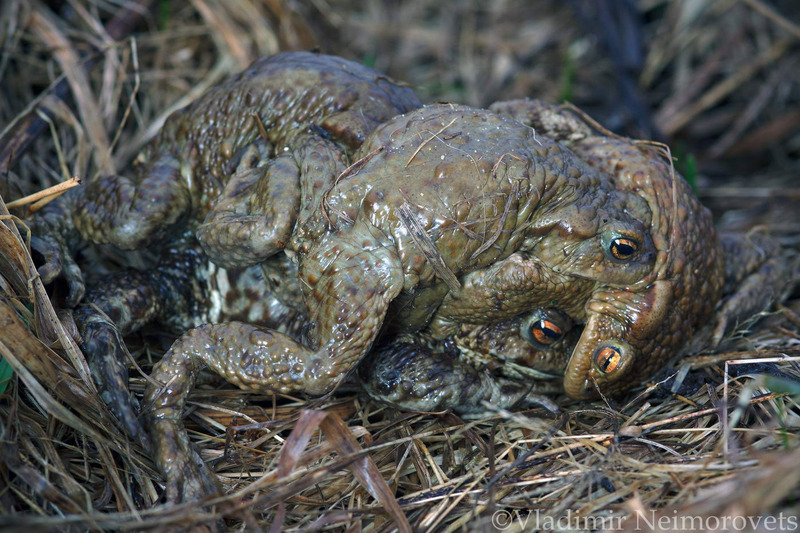 In some places, the toads entwined in tangles, in which it was possible to count 6-8 or even more specimens. 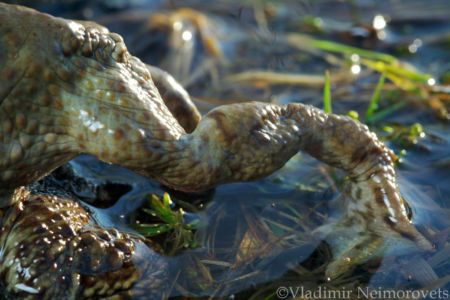 In the center of the coil is a female, and all the rest are males who want to grab a female and later, in a pond, fertilize her eggs. 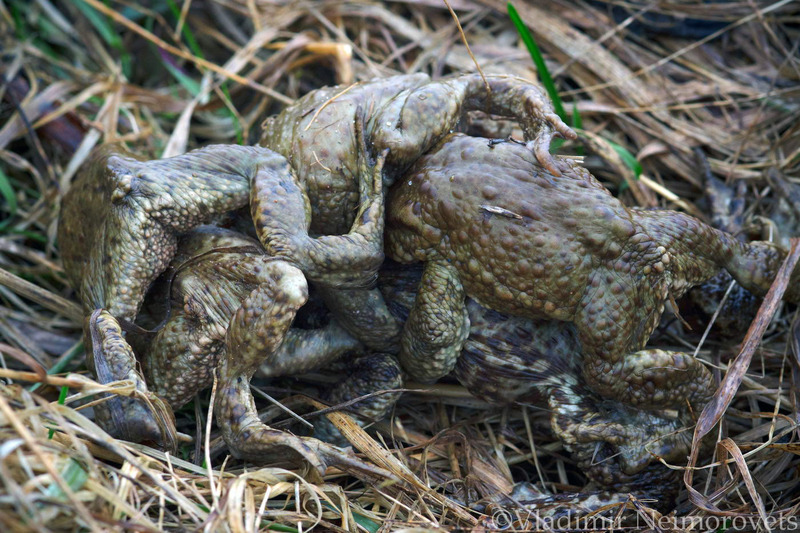 All this group wanted to hold the female. But for this it was necessary firstly to push back the male, who had already captured the female and held her tightly in his front legs. 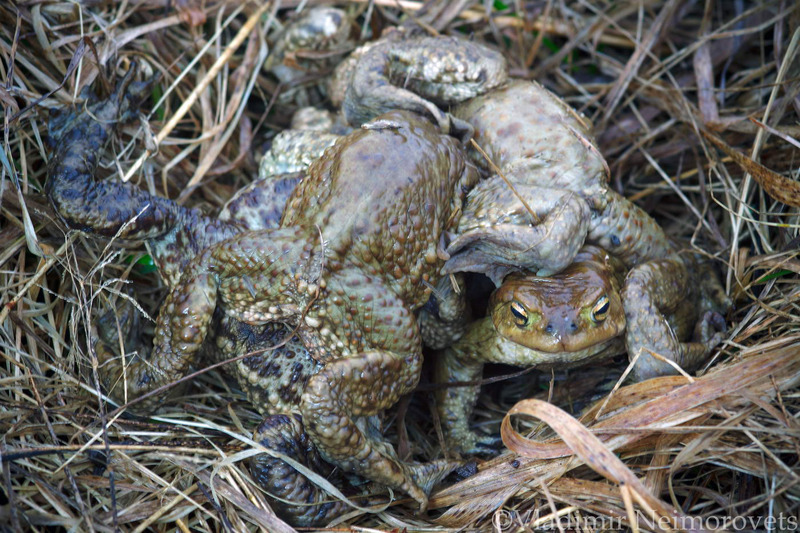 Often several regular applicants tried to wedge in between this male and the female. And each rested and crushed with great force, trying to break the grasp of the lucky one. 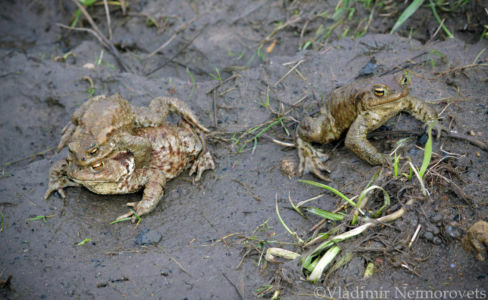 At the same time, there was a continuous struggle between each other, each was trying harder to kick the one who was behind or from the side. 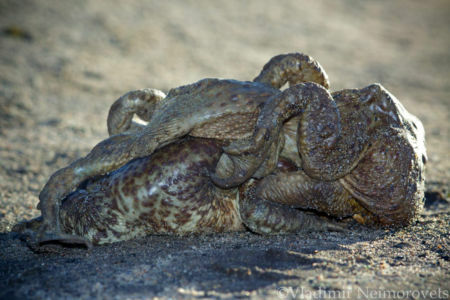 It’s amazing how after such a «gentleman’s treatment» the females were still able to lay eggs! 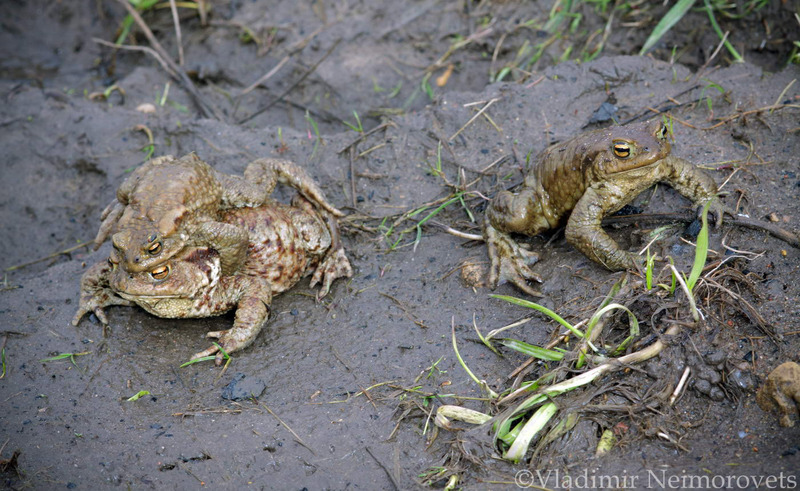 Gradually, the ball was rolling towards a pond. 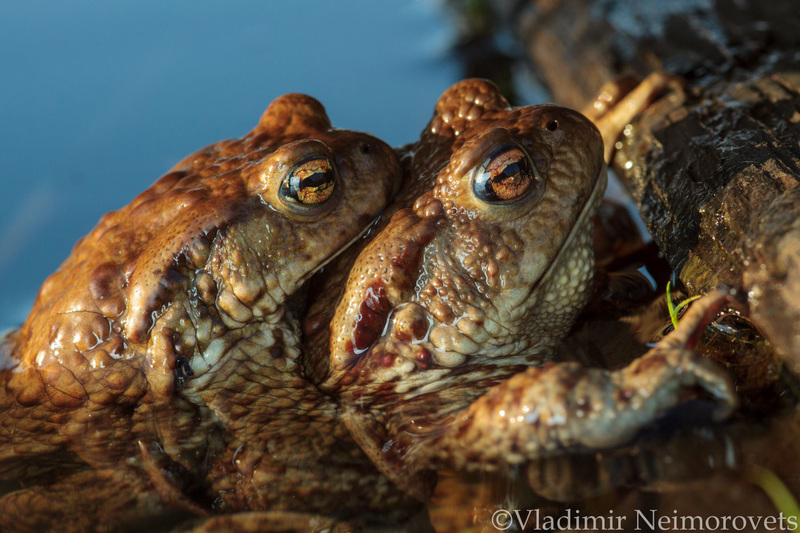 The struggle for the female did not stop in the water, until the moment when the female and her most successful partner can swim. 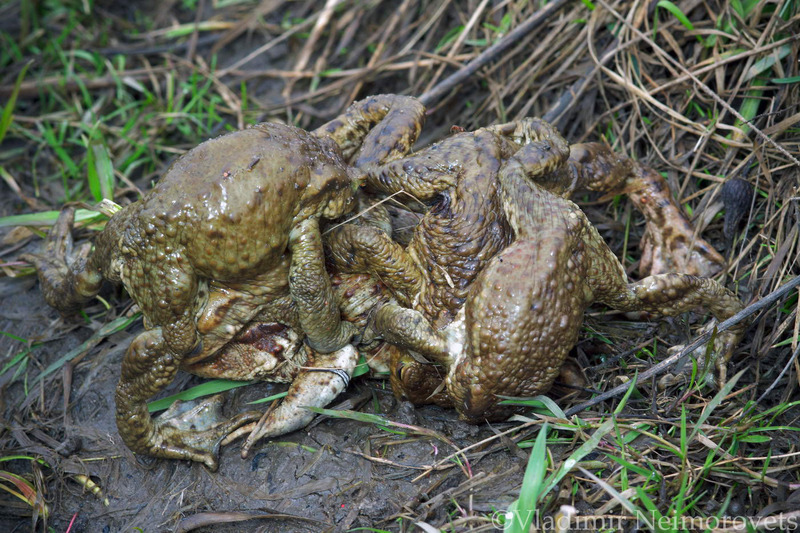 Losers returned to the land in an attempt to catch another female. 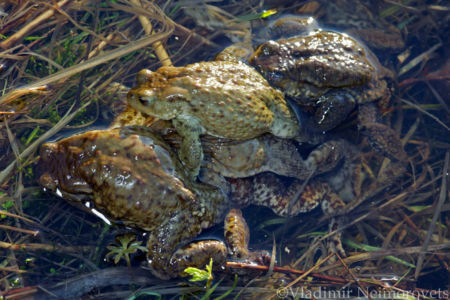 And the happy couple stayed for days in open shallow-water in order to lay eggs in a right moment on a warm sunny day. 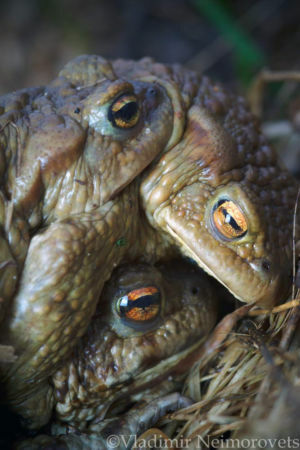 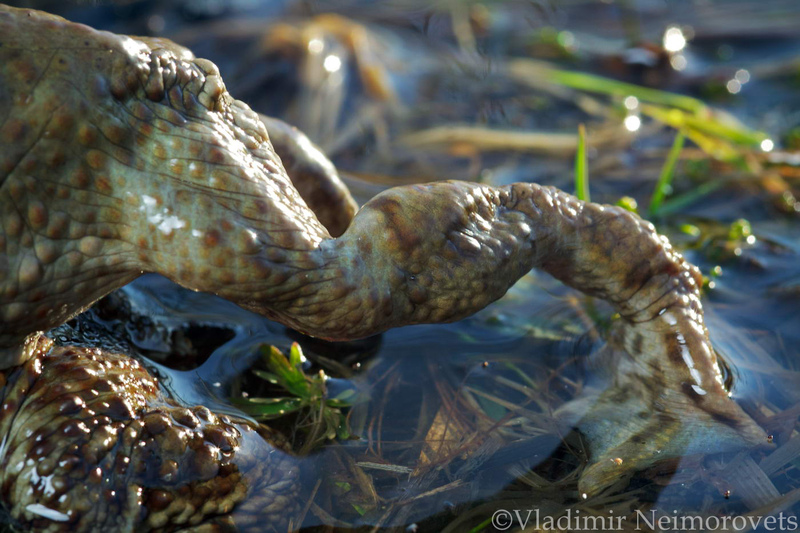 This behavior of common toads is a well-known phenomenon. But I did not see this before and was very surprised.